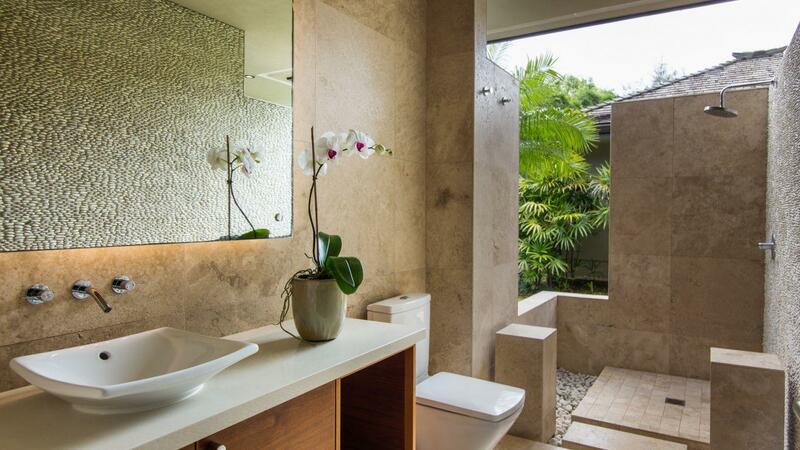 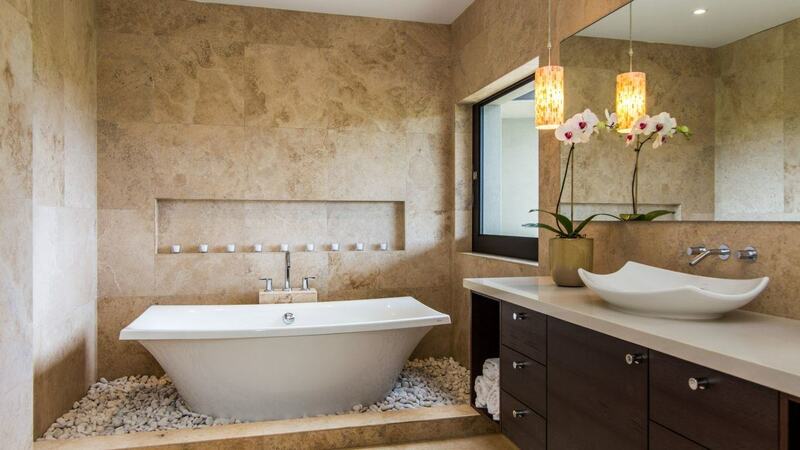 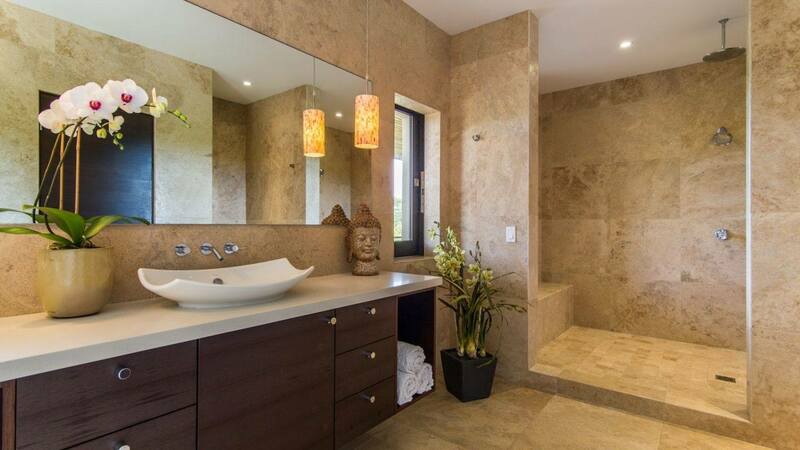 Villa Abril has beautiful Balinese and Hawaiian influenced designs, accented by incredible stonework throughout. 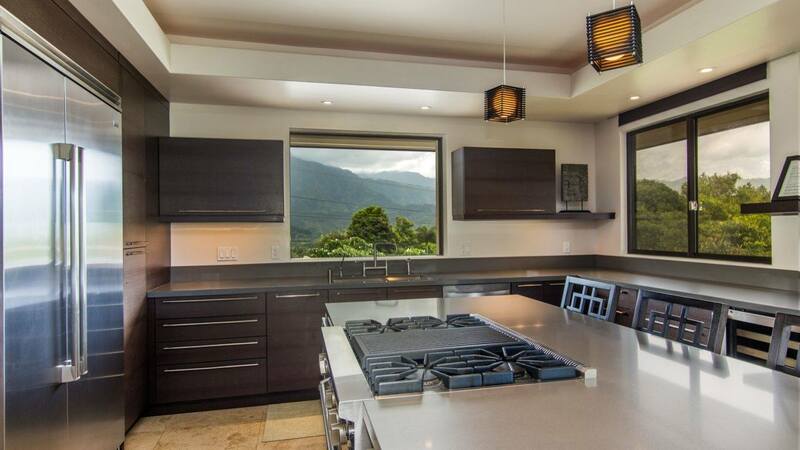 This secluded estate is just minutes from Hanalei and Princeville. 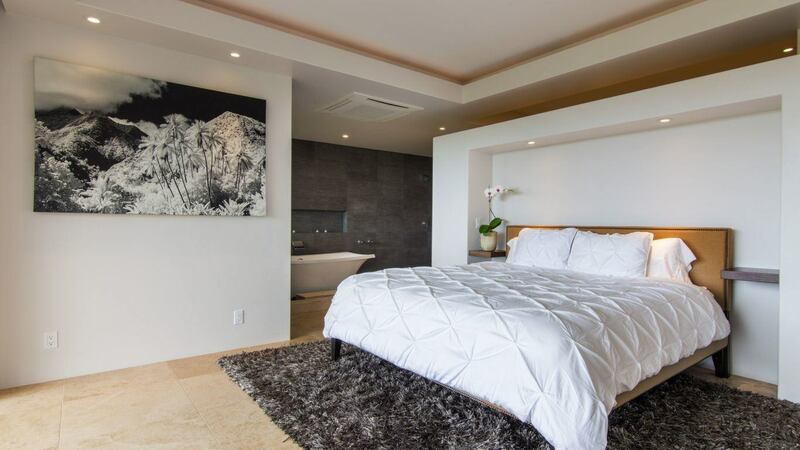 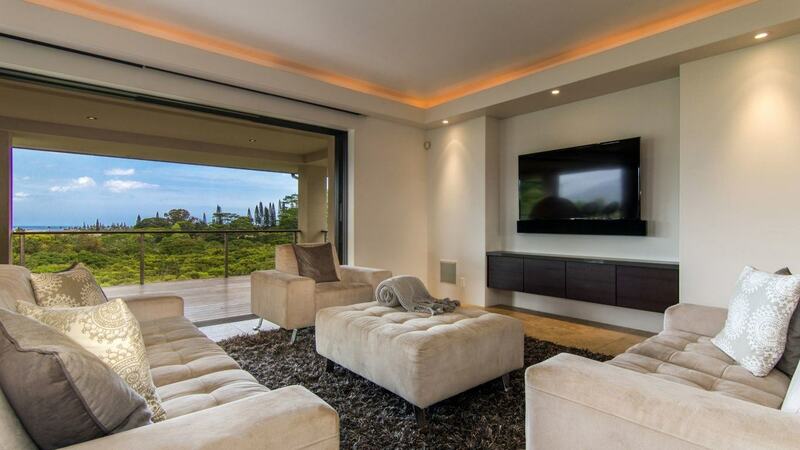 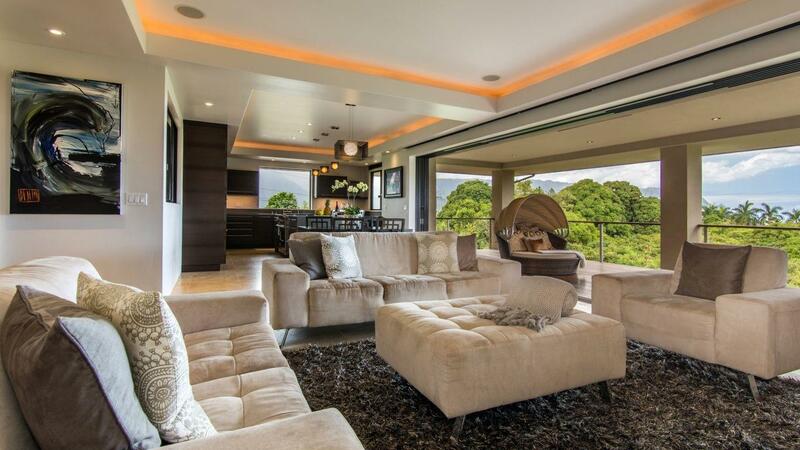 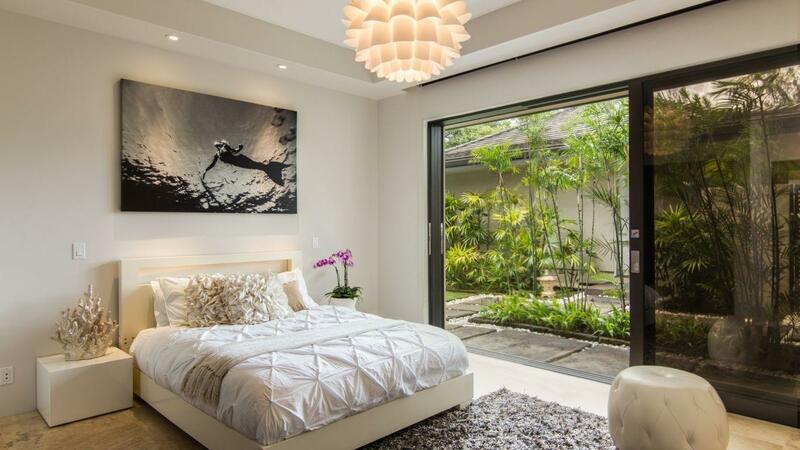 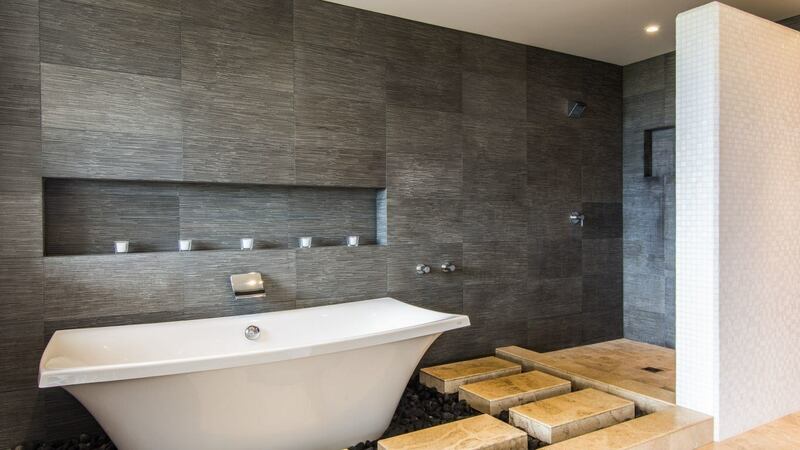 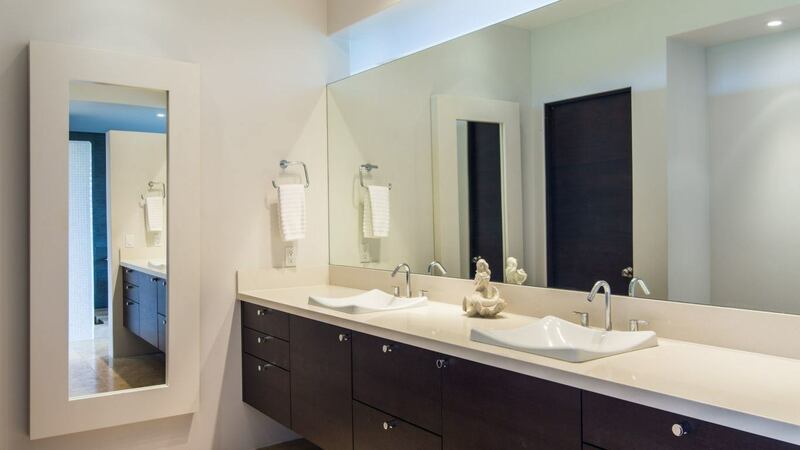 Throughout the interior of the home, a minimalistic design can be observed, creating an open and relaxing atmosphere. 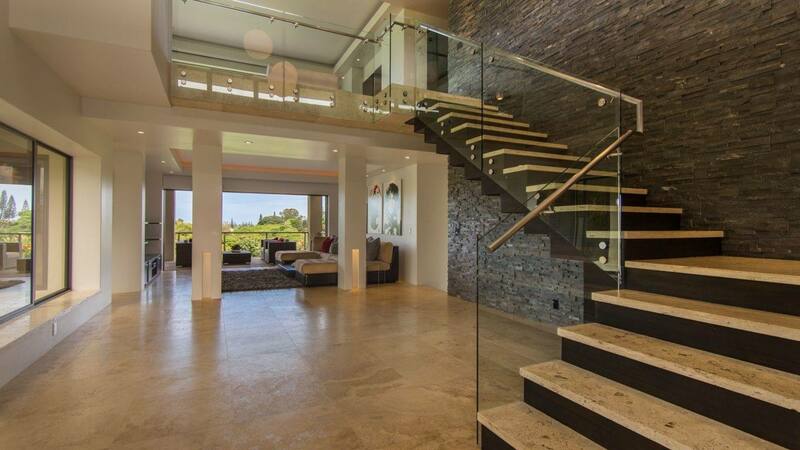 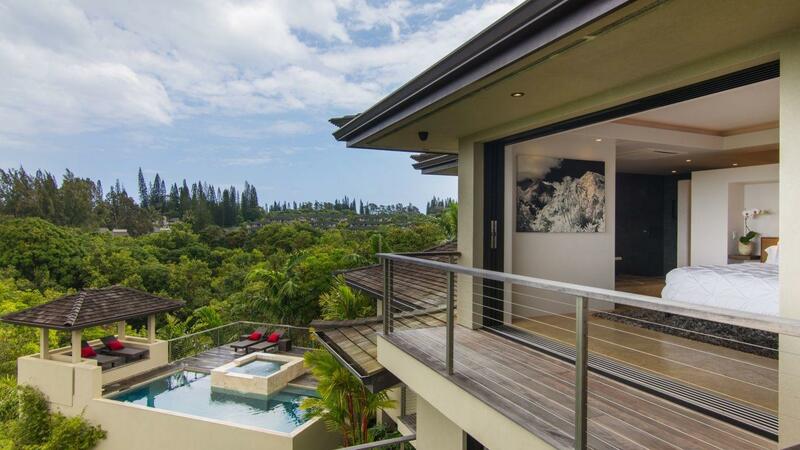 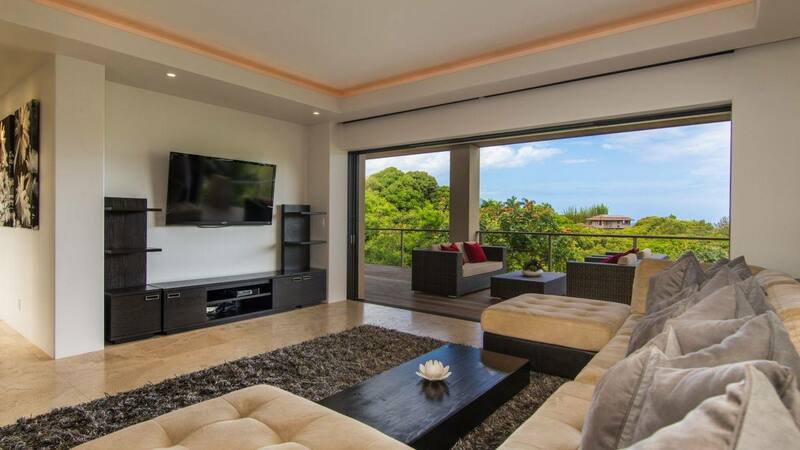 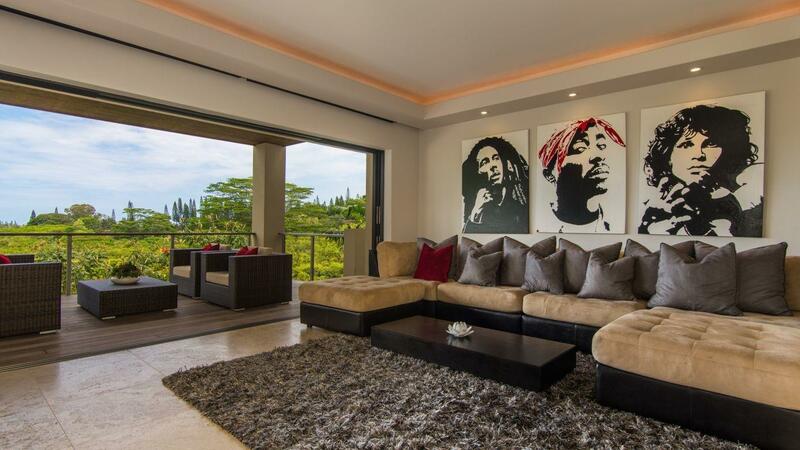 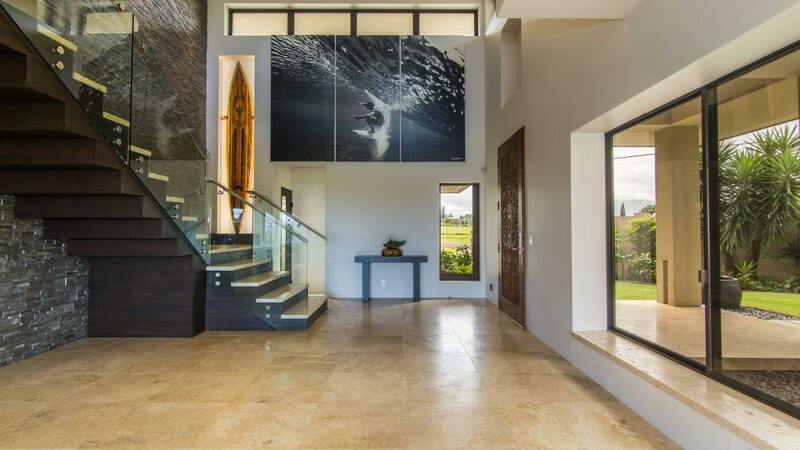 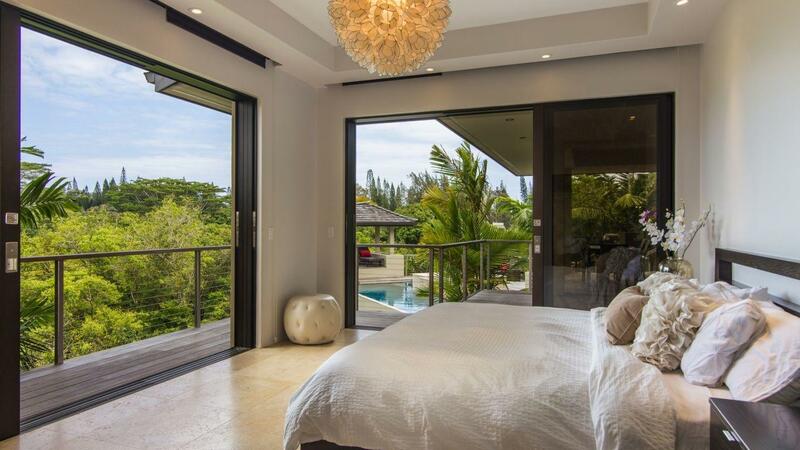 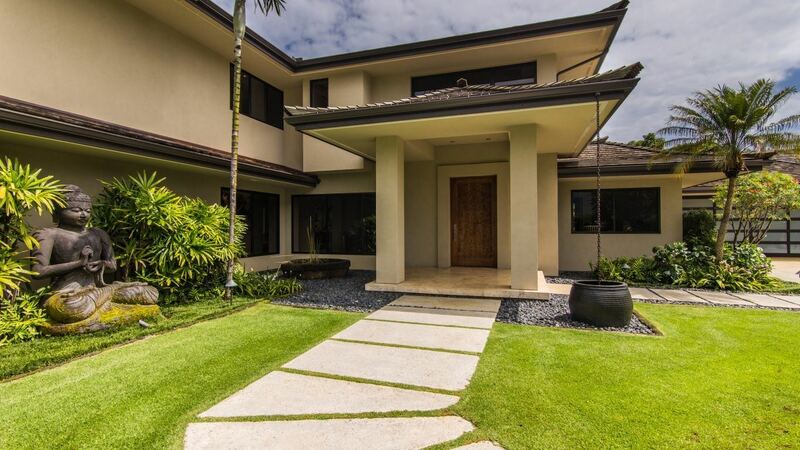 There are 3 bedrooms and 3.5 bathrooms with spectacular views of tropical Kauai. 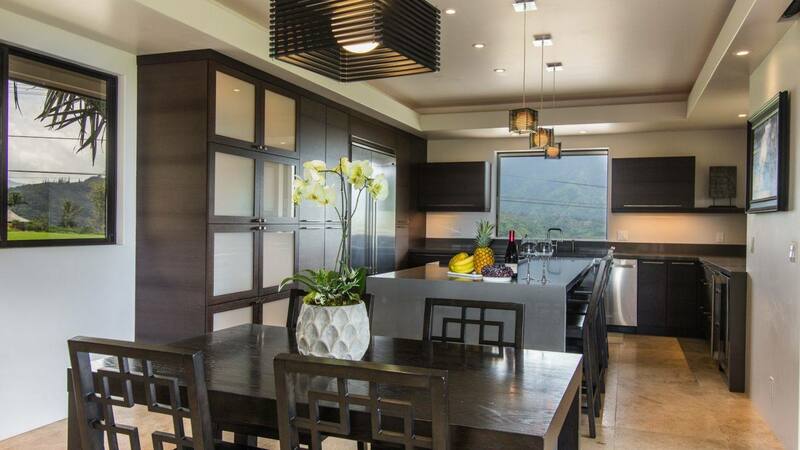 The kitchen and living areas lead to the outdoor terrace. 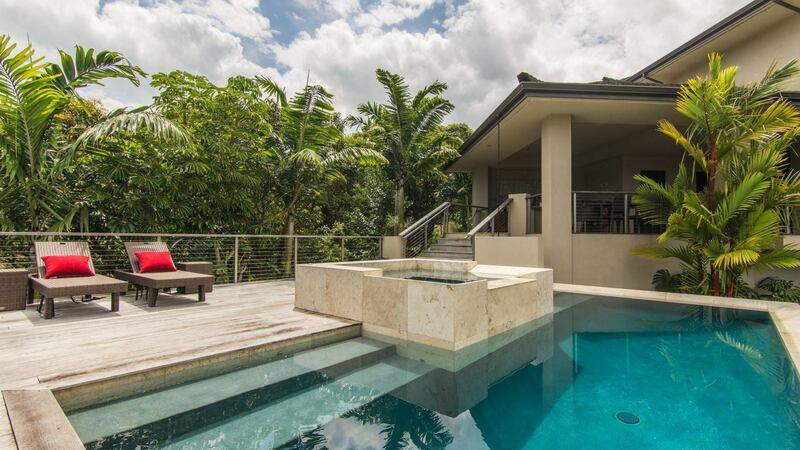 With ample outdoor living space, the spa and infinity pool has stunning views over Bali Hai and Kauai's North Shore. 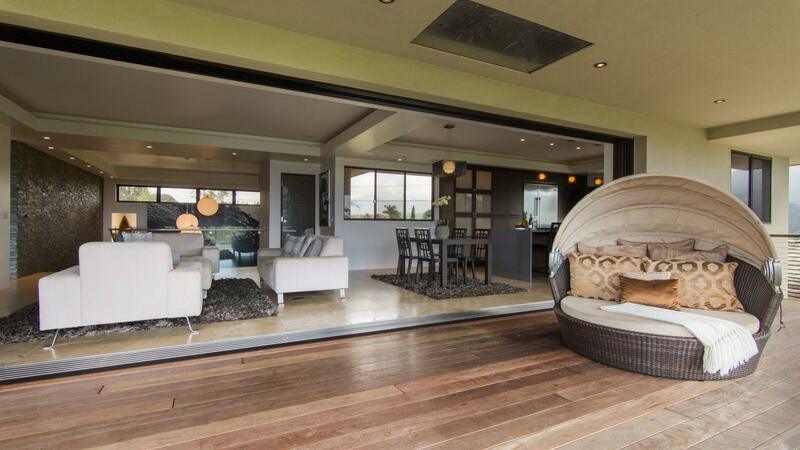 There is also a hot tub, a patio, and many seating areas located outside.